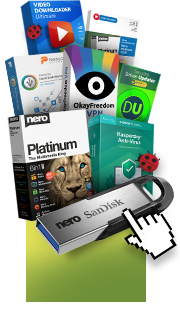 London, UK, 17th September 2014 – Nero, global multimedia software producer, has announced the launch of its Nero 2015 Classic and Nero 2015 Platinum digital media suites, which make it easier to burn, rip, play, edit and share digital content anytime, anywhere, on any device. The software suites feature more than 10 brand news mobile apps and major enhancements to Nero’s flagship PC applications: Nero Burning ROM, Nero Video, Nero Recode, Nero Express, and Nero MediaHome. Both suites are available beginning September 17, 2014 through major retail stores and authorized Nero resellers, as well as directly at www.nero.com. The recommended prices are £69.99 for Nero 2015 Classic and £89.99 for Nero 2015 Platinum. The AndroidTM Apps are already available and the iOS Apps are coming soon. The newly-enhanced Nero MediaHome is offered completely free-of-charge. For consumers interested in acquiring single applications, Nero Video 2015 - now including all the advanced video editing features found in Nero 2015 Platinum such as BD-Video and 4K (UHD) - is available individually for £39.99, and the legendary burning software Nero Burning ROM 2015 is also available for £39.99. Upgrade and volume licensing pricing are available as well. For more information please visit www.nero.com. Nero creates software that helps consumers around the world to simply enjoy their videos, photos and music. Nero produces widely used multimedia software, which contains powerful applications for media management, video playback, video editing, video converting, content syncing and disc burning. Nero BackItUp offers an innovative and easy-to-use concept for backup on PCs and mobile devices. Nero has offices in Karlsruhe, Germany; Glendale, Calif., USA; Yokohama, Japan; and Hangzhou, China. Learn more at www.nero.com. Nero and its product names are trademarks or registered trademarks of Nero AG. Other product and brand names may be trademarks or registered trademarks of their respective owners and do not imply affiliation with, sponsorship or endorsement by owners. © 2014 Nero AG. All rights reserved.